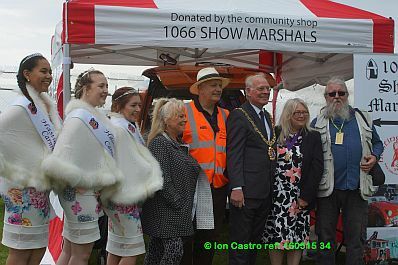 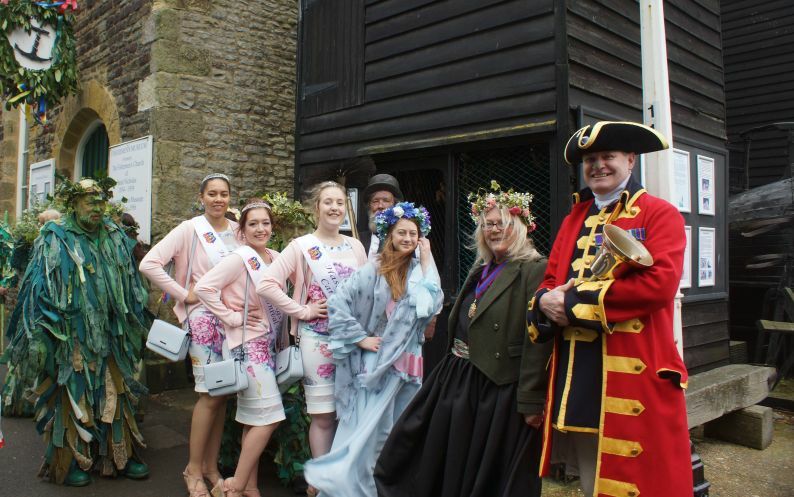 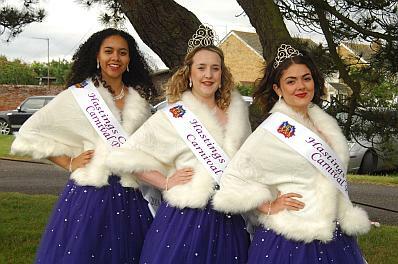 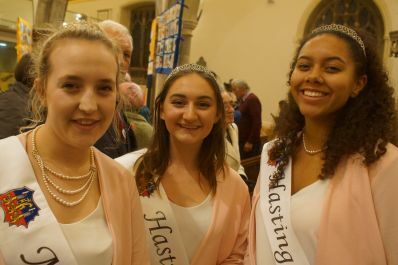 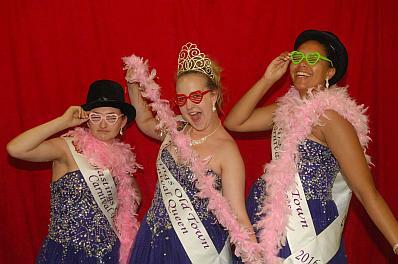 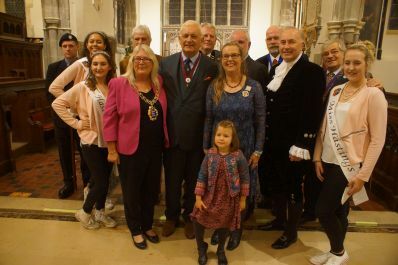 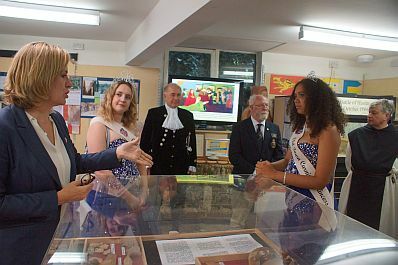 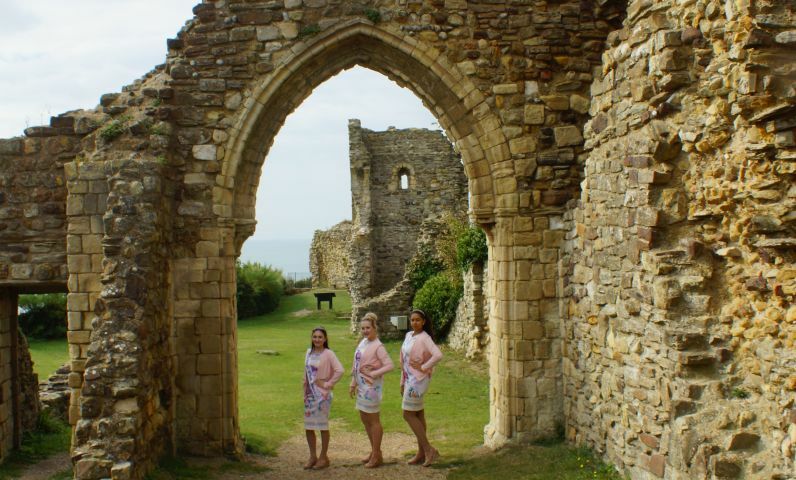 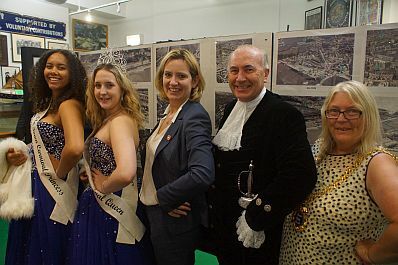 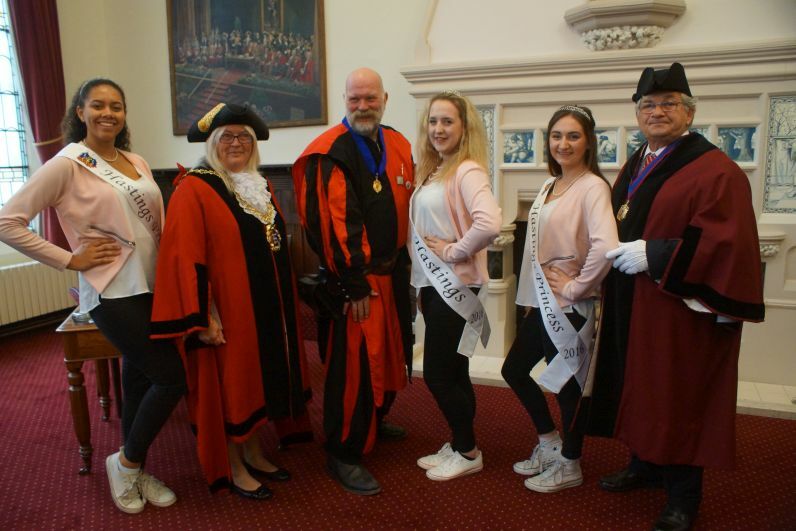 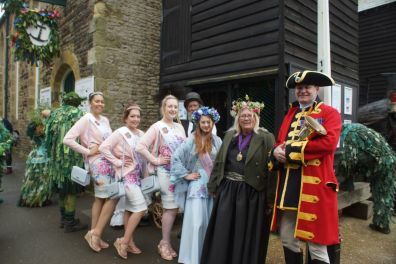 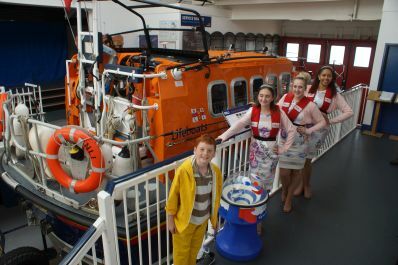 Hastings Old Town Carnival Court were at the Hastings Observer 1066 Awards at St.Mary in the Castle, other distinguished guests included High Sherriff of East Sussex, Michael Foster, Behind the Carnival Court is Keith Ridley from The Observer and Hstings' Mayor Judy Rogers. 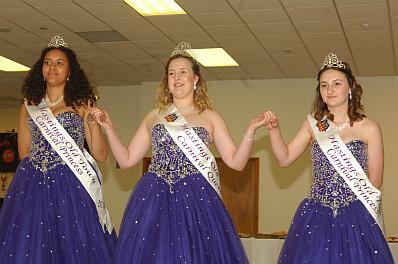 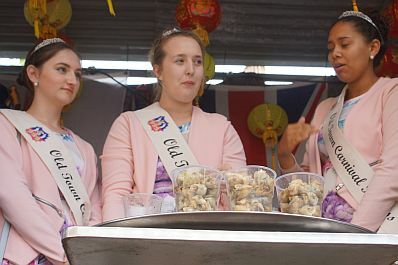 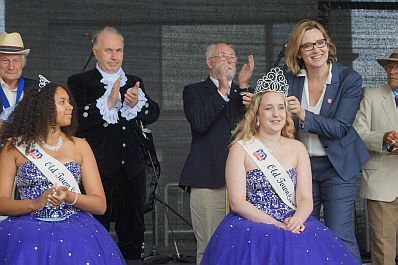 For personal reasons Talitha Ford has decided to stand down from the Court and on this occasion, Laylah Dobinson, Carnival Queen 2014-5 covered for her. 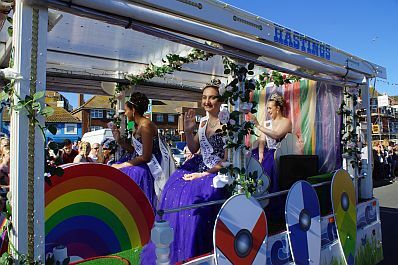 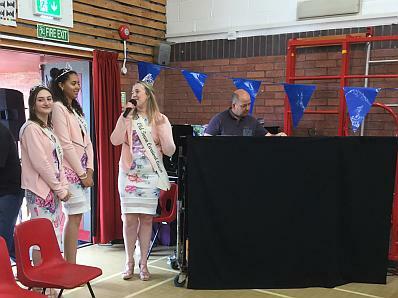 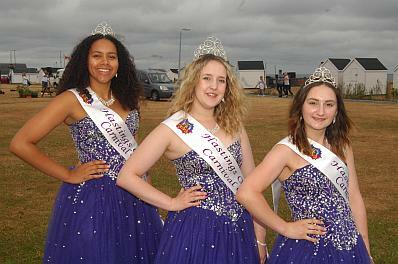 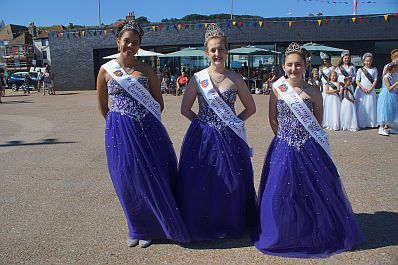 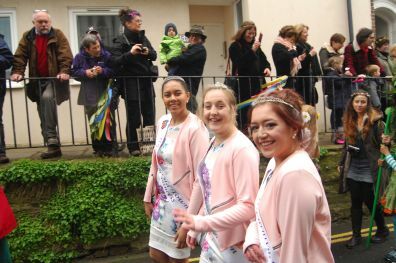 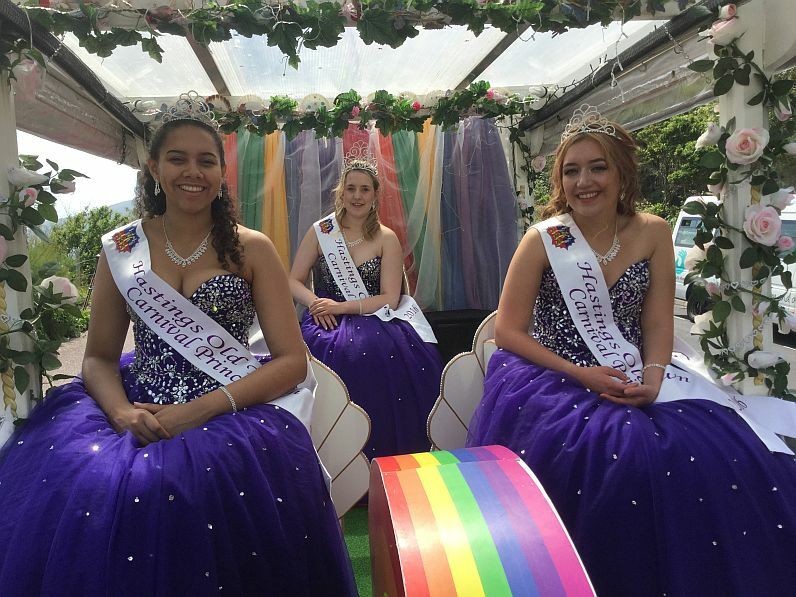 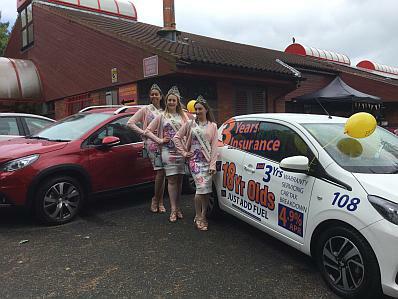 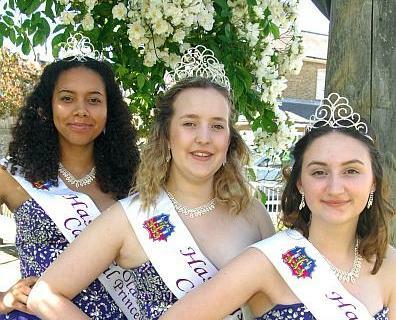 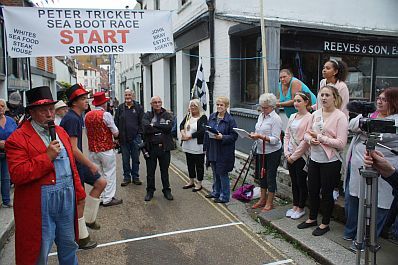 The Hastings Old Town Carnival Association would like to thank Talitha for all her hard work and send their best wishes for the future. 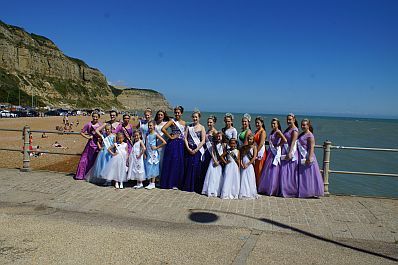 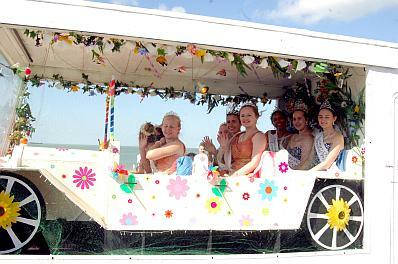 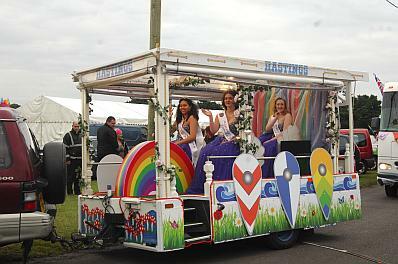 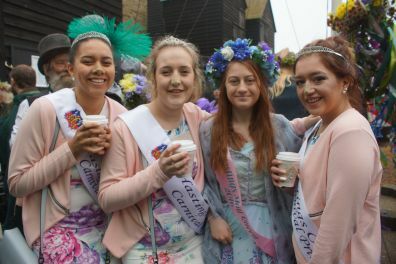 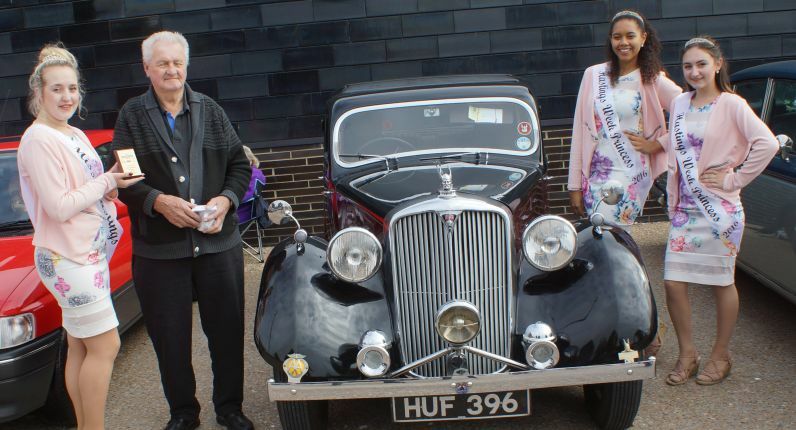 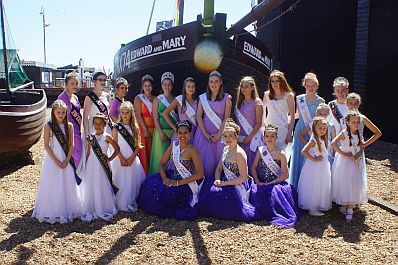 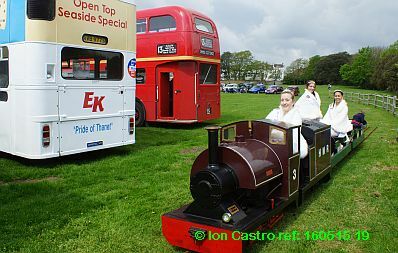 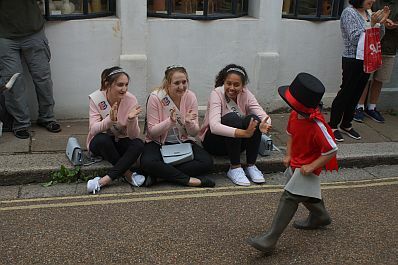 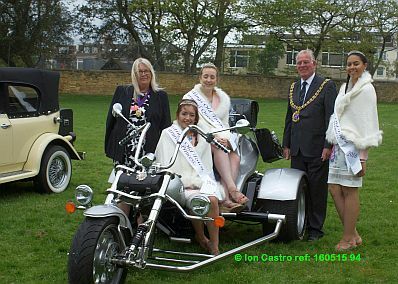 May 2nd 2016, First outing of the Year, Jack in the Green, Hastings Old Town Carnival Court meet up with Hastings May Queen Alice Quinnell-Richards. 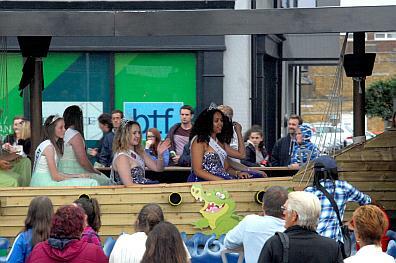 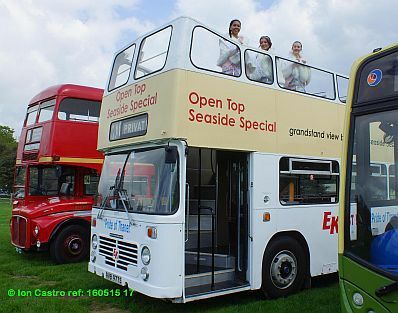 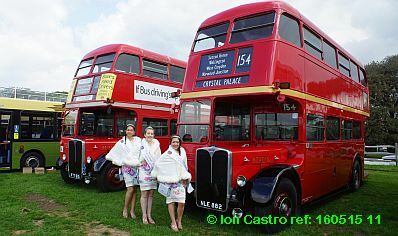 Above: With Nick Lynas and Keith Leech of Jack in the Green, Barry Jones The May Queen's Sweep, May Queen Alice Quinnell-Richards. 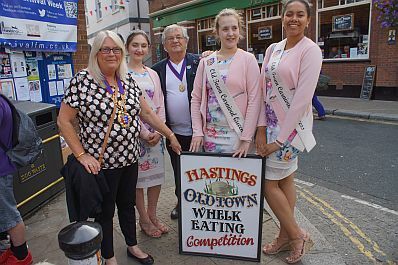 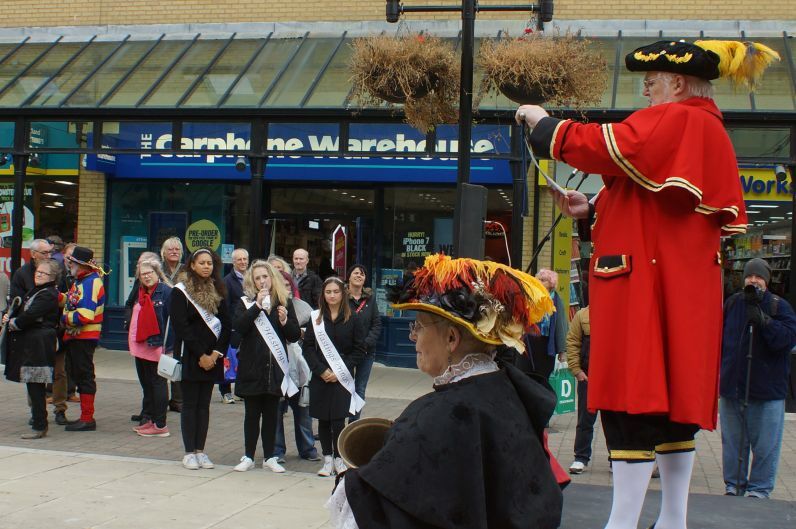 Hastings' Deputy Mayor Judy Rogers and Town Crier Jon Bartholomew.